EMS Data Comparer for SQL Server is a powerful and easy-to-use tool for SQL Server data comparison and synchronization. Using this utility you can view all the differences in compared SQL Server tables and execute an automatically generated script to eliminate these differences. Flexible customization of the SQL Server comparison and synchronization process will enable you to select tables and fields for comparison, perform partial SQL Server data synchronization or data comparison for several tables at once and tune many other options to effectively compare SQL Server table data. Data Comparer for SQL Server includes a graphical wizard that will guide you through the SQL Server data comparison and synchronization process step by step, and a command-line utility for synchronizing SQL Server data in one-touch. 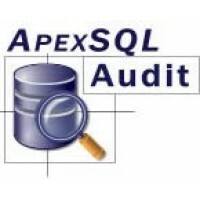 SQL Server activity auditingAudit all operations performed on your SQL instances including DML and D..